Are you worried about wrinkles? BOTOX® in Sarasota FL with Dr. Trent is the answer. Enhance and rejuvenate your skin with Juvederm, Restylane and Radiesse. Learn more about Laser Hair Removal, Laser Vein Treatment and Laser Skin Resurfacing. 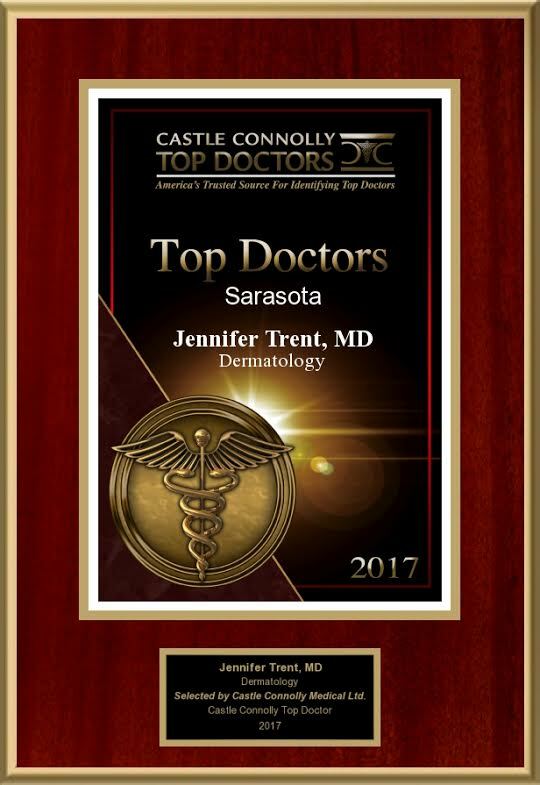 Dr. Jennifer Trent is an experienced medical, cosmetic, and surgical dermatologist in Sarasota, FL who has been practicing dermatology for over 15 years. Using the latest medical technology, Dr.Trent provides outstanding aesthetic services with a natural approach and artistic skill. Dermatologist Dr. Trent specializes in a variety of procedures including dermal fillers (Juvederm), Neuromodulators (Botox), laser hair removal, skin cancer treatment, comprehensive full body skin checks, Mohs skin cancer surgery and many others. Our office contains state-of-the-art equipment including Lumenis One, a device that unites four gold standard technologies on one multi-technology and multi-application platform. We are also equipped with Sciton equipment, the leader in resurfacing laser skin technologies. At American Dermatology Associates, we believe that each patient deserves timely, state of the art care from an expert dermatologist in a kind and compassionate setting. Our goal is to treat all of our patients with care and respect, striving to give our patients the best dermatology care possible. She is thorough, kind and attentive. Staff is warm and accommodating. Will work me in if there’s an emergency. No complaints!!! Dr. Jennifer Trent and staff are outstanding and they make me feel so comfortable in my treatments and visits. Highly recommend Dr. Trent and staff. Dr. Jennifer Trent was the best dermatologist I have ever been to. She is well educated and helped me with the issues I am facing. My husband and I have been very pleased with our visits to her.